Those are beautiful! T did a awesome job! 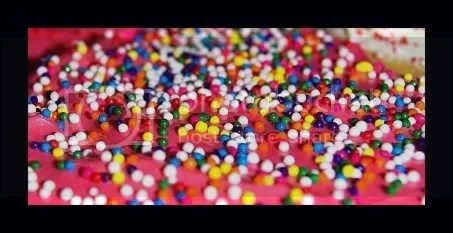 Awww such perfectly “glittered” pieces of confectionary goodness!! I bet she just goes into hyper-sugar mode when she eats one. 😉 yummy, yummy!! 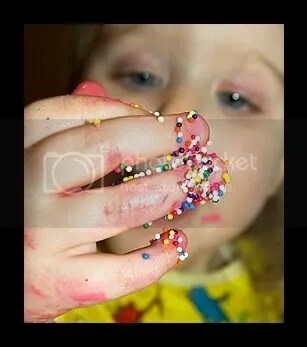 Love the sprinkled fingers shot…perfect! She totally does! You know I keep sugar to a minimum, but lately. . . well, she just has SO much fun with MAKING the stuff, I can’t resist. The problem is that once its made, it must be eaten. . .still working on that part! Looks like T had great, messy fun! 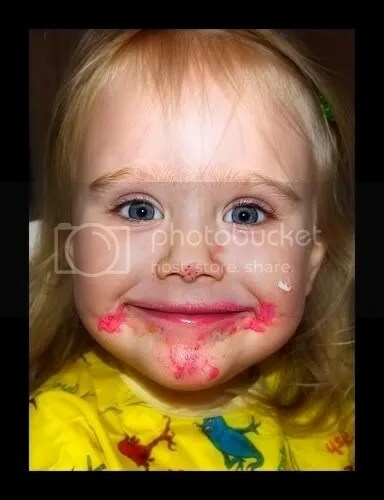 Gotta love those messy toddler faces, so cute! The cookies look good too! Delightfully delicious!! 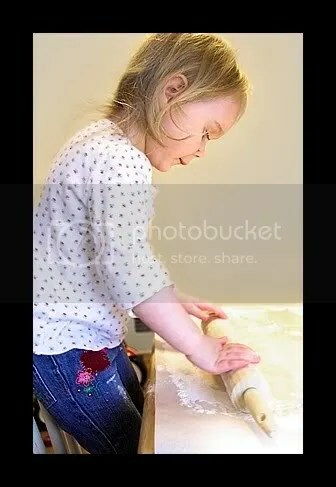 I know she enjoyed baking! Sweet. I especially like the arrangement of the photos leading us through the exercise. 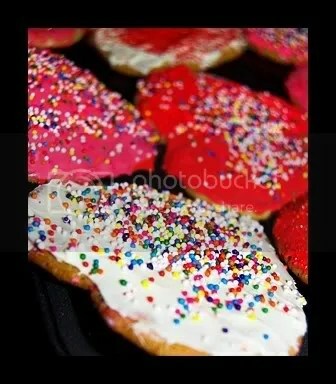 And the heart-cookie spread at the bottom. I babysit my almost-two year old grandniece every week and am wondering if she’s old enough to try this. 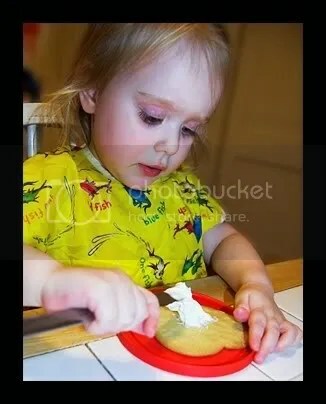 How old did when you-all started making/decorating cookies? Thanks for your comment, I’m glad you enjoyed all my silly pictures – I always do! I say go for it! It can’t hurt to try. 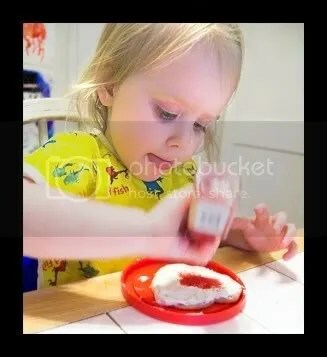 I’ve been doing arts n’ crafts with T since she was old enough to hold a crayon, but they’ve gotten MUCH more sophisticated since she turned 2. . . that said – what can possibly go wrong? 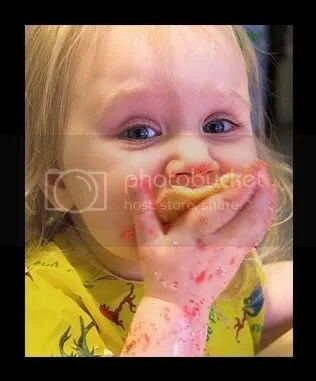 The child WILL get messy, regardless of age, and the child will eat JUST as much (if not more) icing/sprinkles as goes onto the cookies. . .it isn’t a sanitary process. Don’t go in expecting anything presentable to come out, but only to have a wonderful time, and I think you’ll both do great! Scrumptious! I love the Dr. Seuss apron – that is so boss! Her grin is the sweetest, though. Oooh, those look good, now you’re making me want one really bad.